It finally feels like Fall in the Northeast and I'm finally craving Fall Foods - roasted butternut squash fries, crispy brussels sprouts, and of course, cinnamon and pumpkin spice in e-v-e-r-y-t-h-i-n-g.
Fun fact : as the temperatures drop and the days and nights get cooler, these Fall Foods and warming spices are a great way to heat up your body and adjust to the change of the seasons. In my post Top 10 Reasons Why I love my Nutribullet, I talk about my favorite green ice cream smoothie and how I love adding in cinnamon to help regulate blood sugar and warm up a colder smoothie. So when my friends asked me to write a blog post on the benefits of cinnamon, I happily agreed! 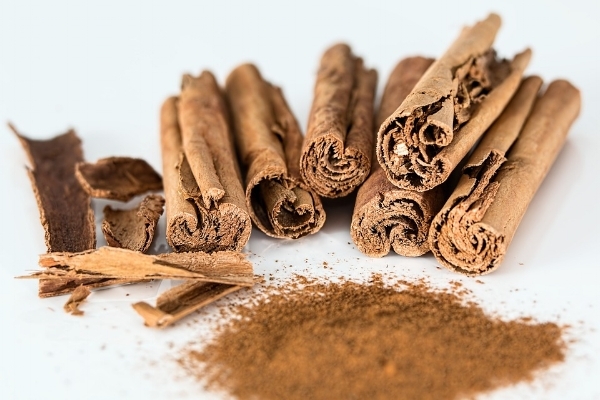 Healthline claims cinnamon is loaded with antioxidants - which keep the body protected from free radicals – substances that can cause a variety of ailments. Cinnamon has been proven to be richer in antioxidants compared to garlic and oregano. Animal studies have even showed that cinnamon can help to reduce the chances of cancer. Cinnamon has natural chemicals that make it an effective anti-inflammatory, anti-bacterial, and anti-fungal agent. It can be used as a herbal remedy to bring down swelling, relieve pain as well as fight fungal infections, particularly candida yeast infections. Organic Authority explained how cinnamon lowers the body’s resistance to insulin, which in turn helps lower fasting blood sugar levels by as much as 29 percent. Curiously, this can make it more effective compared to prescription medications. It also combats high blood pressure and cholesterol, two conditions common among diabetics. Additionally, cinnamon promotes weight loss due its ability to help lower blood sugar levels and improving the effectiveness of insulin. The result is improved metabolism. As a direct result of well-regulated blood pressure and cholesterol levels, cinnamon contributes to a healthy heart, too. Blog post ‘What Happens When You Eat Cinnamon’ on Foxy Bingo states that the spice helps protect you from a variety of heart ailments. And in addition to lowering the body’s LDL cholesterol, AKA ‘bad cholesterol’, cinnamon also increases HDL cholesterol, AKA ‘good cholesterol’. Health.com revealed that cinnamon improves cognitive function, particularly attention and visual-motor responses. The spice has also been proven to help heal the brain after a traumatic injury or stroke, and helps keep it protected from Alzheimer’s disease. An article on the BBC’s Good Food website showed how cinnamon aids in treating gastrointestinal problems, specifically flatulence and digestive imbalance. To alleviate either of these conditions, cinnamon should be taken in tea. So get your cinnamon on, xo!